The Jalview package: a multiple alignment editor. Although you can install Jalview on your computer very easily, using the Start with Java Web Start button is even easier and ensures you always have the latest version of the software. There is also an Applet version of Jalview that is intended to be an alignment viewer – it doesn’t have all the functionality. •	Waterhouse, A.M., Procter, J.B., Martin, D.M.A, Clamp, M., Barton, G.J (2009), Jalview version 2: A Multiple Sequence Alignment and Analysis Workbench. 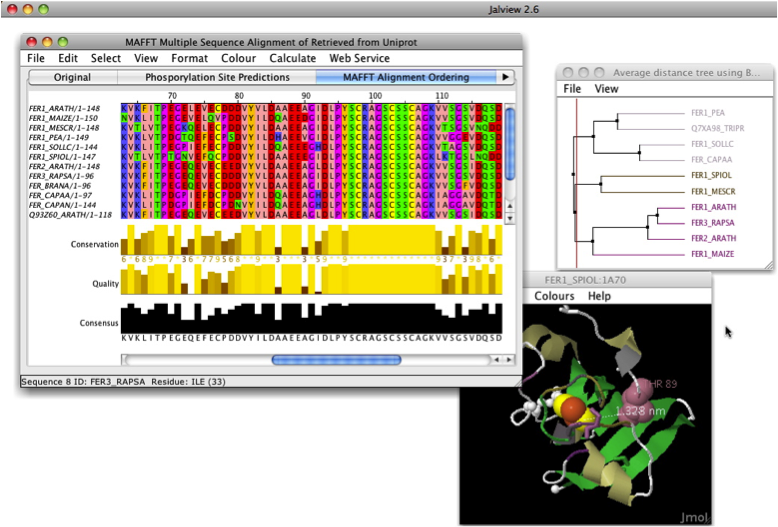 Bioinformatics 25:1189-91. •	Clamp, M., Cuff, J., Searle, S. M. and Barton, G. J. (2004), The Jalview Java Alignment Editor. Bioinformatics 20: 426-7.